ANNUAL GENERAL MEETING MAY 21 at 3pm. Members Only. Vote for our future. 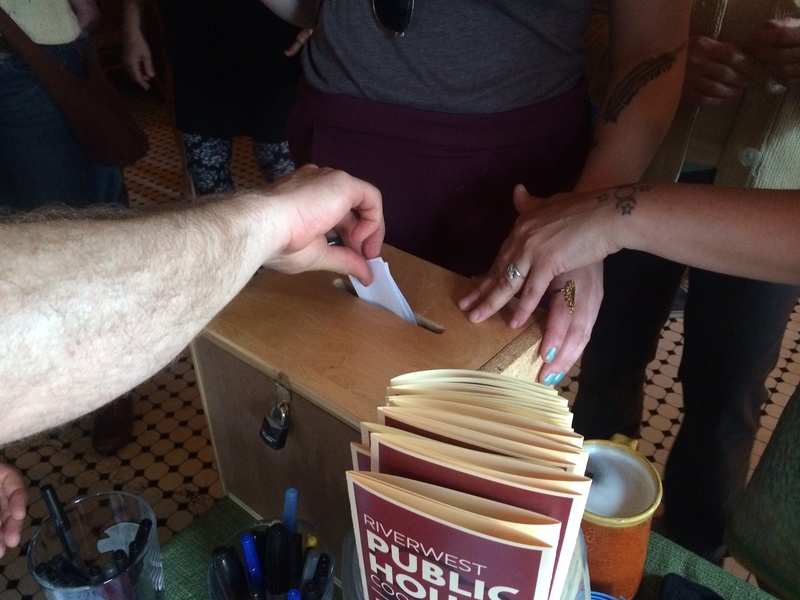 The Riverwest Public House isn’t just a bar. You know this when you get that feeling. The one that comes when you bump into friends and neighbors over a pint. The feeling after an incredible show, or a Night School, a book club, a political art show or a dance party. It is that feeling that we aren’t just hoping for community but that we’re actually building it. We know our neighborhood, our city, our world is a better place every time we raise a glass. Maybe you’re ready to move from the barstool to the boardroom. OK, so we don’t really have a boardroom, just the long table in front. But still. We’re taking nominations for the upcoming Board of Director elections. We need organizers and activists, dreamers and realists, folks that are good with nuts and bolts and folks that see the big picture. We need finance folks and HR people. We need neighbors and friends. We need the community to lift up leaders and leaders to direct the co-op, especially at this time of growth and change for our organization. Our board has a few practical functions. We govern by policy and decide by consensus. That means we will look at what are the best practices for this cocktail community we’re creating. We give structural support to our workers collective. We carry the banner of co-ops and tell the story of the Public House locally and nationally. We’re a working board, with each director serving on a committee. The board currently meets twice monthly and the schedule will be restructured with the new Board. There are three open seats each with a three year term. While any enthusiastic organized self-motivator who is a lover of the co-op should run, we are specifically looking for people with experience in HR, Marketing, business management, and of course who couldn’t use a lawyer? So, if you love building community one drink at a time, come help design the blueprints for that building. Join the board. Email info@riverwestpublichouse.org for more information. Our Annual General Meeting, where board elections take place, will occur on Sunday, May 21. Please fill out the google form board application or you can pick up an analog application from any bartender. All submissions are due by May 7, 2017.